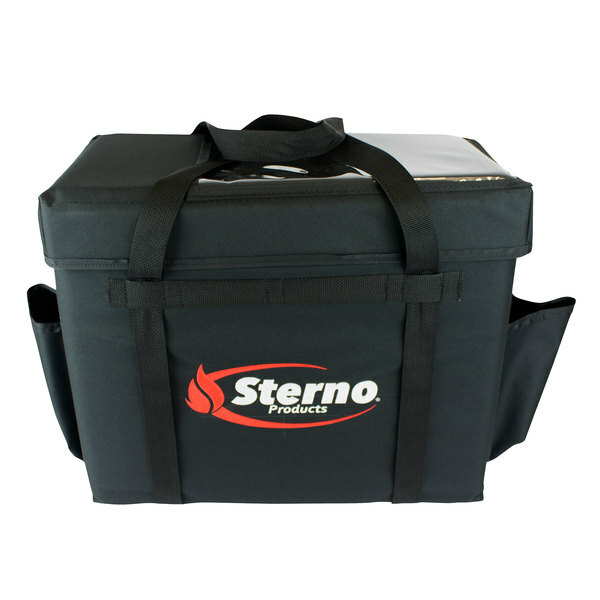 Easily and efficiently transport food and drinks to offsite locations with this Sterno Products 70534 22" x 13" x 19 3/4" 3XL delivery deluxe insulated food carrier! 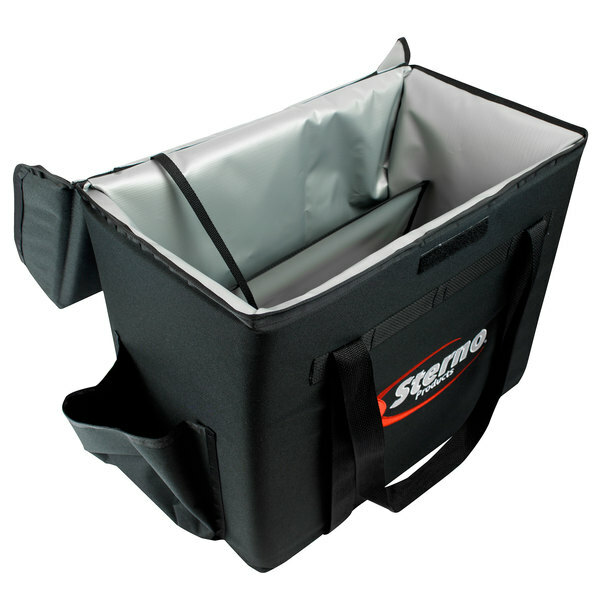 This premium insulated food carrier is designed to hold (12) 9" x 9" x 3" meal containers, inside, and 2-liter soda bottles, outside. An easy-open overlap lid ensures quick retrieval while a pocket window promotes instant identification of orders and delivery information. This carrier's antimicrobial liner features a seamless design to prevent liquids from seeping through while facilitating quick cleanup. You can rest assured that it won't harbor bacteria, mold, or odors - it comes with a 5-year leak-proof warranty. Plus, the superior-grade, tear-resistant vinyl material is guaranteed to withstand the abuses of daily use. Beneath the liner, multilayered insulation keeps hot foods hot, and cold foods cold for preserved product quality.